The Best Wood Sealer. Silane Siloxane Penetrating Water Repellent Sealer for all porous wood surfaces. Protect, restore, and extend the life of your project with Wood Sealer Natural Finish Silane Siloxane Waterproof Coating. Made from the best water repellent chemicals in the construction market, Wood Sealer is formulated by blending silanes and siloxanes that have long been trusted by architects, engineers, and building owners around the globe. 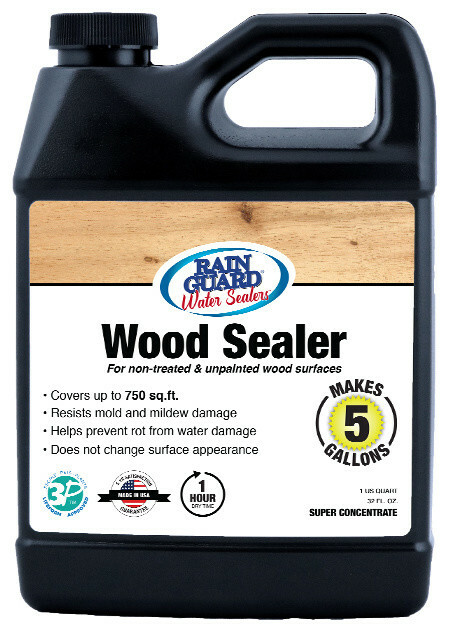 What makes Wood Sealer different? A proprietary ingredient called Micro-Lok�. This additive ensures a long lasting mechanical bond and creates a hydrophobic barrier that is not affected by weathering, dirt, freezing temperatures, UV light and wind-driven rain, among many other damaging elements. W 11" / D 12" / H 11" / 4 lb. Sold by RainguardTop Seller- Free Shipping!